Just like any other appliances in a home, water heaters also breakdown over a period of time. When this happens, they can either be repaired or replaced. In case of a breakdown, you are supposed to act fast to avoid a larger problem in future which might cost you more to tend. 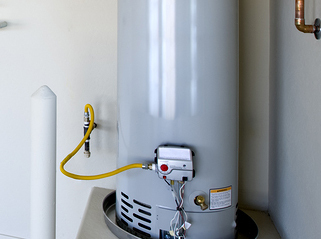 The following clues can help you know when it is the right time to repair/replace your water heater: The tank water heater lasts an average of 8-10 years after installation. Electric water heaters last longer (8-10 years) than gas water heaters (6-8 years). The two systems of heaters can increase their lifespan with proper maintenance practices and use. However, if your heater is approaching 10 years after installation, it is advisable to have Water Heater Services in Queen Creek AZ it to avoid frustrations in near future. Steel is used to make most of the hot water tanks. You’re supposed to check your tank whether it has either rusted or corroded to determine the next course of action. Once a tank has rusted, there is no known way of repairing it because the damage is already done. The only way forward is replacing it with a new one. The location of your water tank within your house can be a factor to determine how fast you will act on this problem. If your tank is located in the garage, it may take time to realize serious damages after a water leak. However, if the water tank is found in a delicate location, it is advisable to replace the tank as fast as possible to avoid unnecessary expenses and damages. Sediments tend to settle at the bottom of the heater’s tank over time. These build up causes inefficiency in both electric and gas water heaters. The sediments clog the drain valve affecting the flow of water out of the tank. When this problem is noted, the tank should be drained and cleaned as soon as possible. On the other hand, this should prepare you to be ready to replace the water heater tank soonest possible. It should be noted that, regularly maintained water heaters lasts longer and works more efficiently compared to poorly maintained heaters. It should also be noted that, the system of heating water (either electric or gas) do not affect the regularity of maintaining the water heaters. The water heaters should have Water Heater Services in Queen Creek AZ regularly to increase their life span and effectiveness.